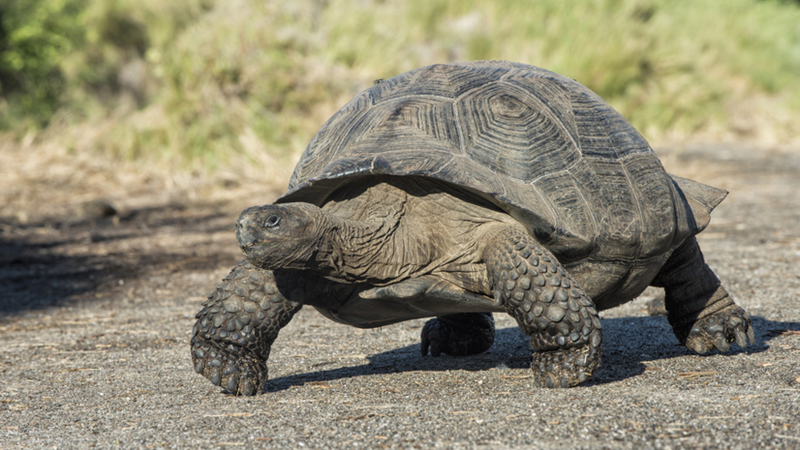 An introduction to two very different types of tortoise – the jousting angulate tortoises of Dassen Island, and the giant tortoises of the Galapagos. Male angulate tortoises are very territorial, and frequently joust with one another. The underside of a tortoise's shell is called the plastron. Male giant tortoises have a concave plastron, which prevents them toppling off the female during mating. Giant tortoises can live over 150 years. Dassen Island off the west coast of South Africa is home to a large population of angulate tortoises. Like all reptiles, tortoises are cold blooded. This means they have to rely on external factors to control their body temperature.